Summary: Difference Between GPS and GIS is that a global positioning system (GPS) is a navigation system that consists of one or more earth-based receivers that accept and analyze signals sent by satellites in order to determine the receiver’s geographic location. While GIS stands for Geographics Information System, refers to the computing for capturing, storing, displaying and checking all the data related to Positioning’s on Earth’s Surface. 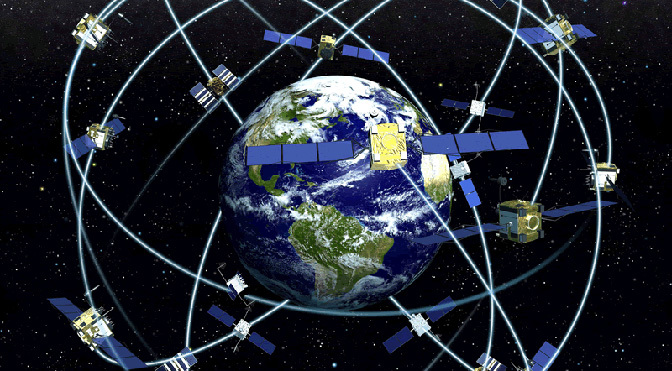 A global positioning system (GPS) is a navigation system that consists of one or more earth-based receivers that accept and analyze signals sent by satellites in order to determine the receiver’s geographic location. A GPS receiver is a handheld, mountable, or embedded device that contains an antenna, a radio receiver, and a processor. Many include a screen display that shows an individual’s location on a map. Some also function as a portable media player. Many mobile devices such as smart phones have GPS capability built into the device or as an add-on feature. Some users carry a handheld GPS receiver; others mount a receiver to an object such as an automobile, boat, airplane, farm and construction equipment, or computer. The first and most used application of GPS technology is to assist people with determining where they are located. The data obtained from a GPS, however, can be applied to a variety of other uses: creating a map, ascertaining the best route between two points, locating a lost person or stolen object, monitoring the movement of a person or object, determining altitude, and calculating speed. Many vehicles use GPSs to provide drivers with directions or other information. GIS stands for Geographics Information System, refers to the computing for capturing, storing, displaying and checking all the data related to Positioning’s on Earth’s Surface. You can view different kinds of data by using GIS on a single map. And thus with the help of this map, people can easily understand and see the patterns and relationships between these geographic systems. Using GIS technology, you can compare the locations with different things to discover how they relate to each other. Every location including gas stations, places with pollution, and places that are sensitive to pollution is viewable using GIS. And by reognizing the different locations, you can take the necessary precautions to save different lands.